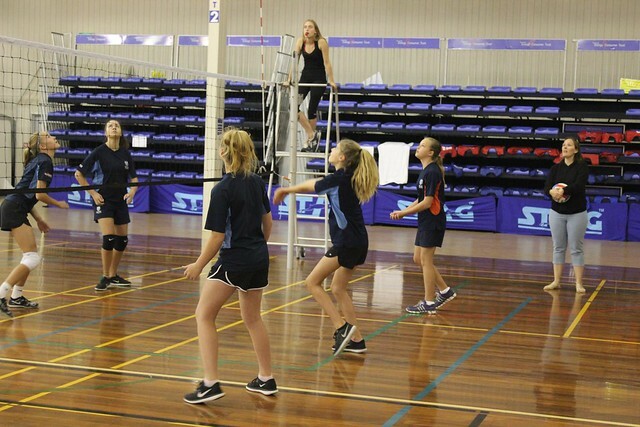 8 Girls teams took part in this year’s year 7 and 8 Volleyball tournament held at QEYC. Many of the girls have just begun with Volleyball and this showed with some of the early games in the tournament. As the day progressed however, the quality of play improved across all teams. There were some hard fought games and some tenacious wins. The girls had an opportunity to play a lot of volleyball throughout the day giving them a chance to improve their skills and develop their teamwork. The tournament was played in great spirit by all schools involved, with Papamoa College Pirates taking first place.